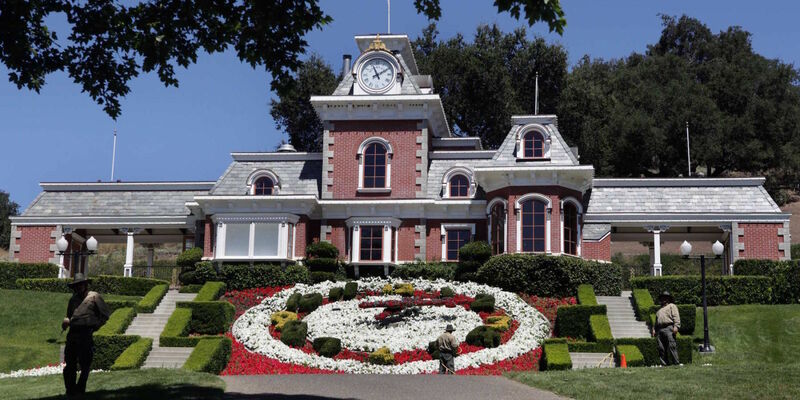 Michael Jackson’s Neverland Ranch is going on the market for $100 Million! The 2,800-acre Santa Barbara County development, has re-taken its original name- Sycamore Valley Ranch. Jackson bought the mansion in 1987 for $19.5 million, but struggled to pay off his loan for it. Real Estate investment firm Colony Capital stepped in to help save it from auction. The estate has gone through some extensive development since Jackson’s death in 2009. Its zoo (home to an elephant and orangutans; a llama is still on the premises), amusement park, and staffed fire station are gone (the physical building remains), but the signature floral clock and railway are intact. The 12,000 square foot main house has six bedrooms. The property also has two guesthouses, a swimming pool, barbecue area, basketball court, tennis court and a 50-seat movie theater. Trails crisscross the site, and thousands of oak trees dot the landscape. Rumors are saying that Kanye West has plans to negotiate a deal to buy the property for Kim Kardashian. I’m sure there will be a lot of buzz about who will take over ownership of this historic piece of prime property.